SA Leak detection is the sole supplier of Sensors and Software in South Africa. 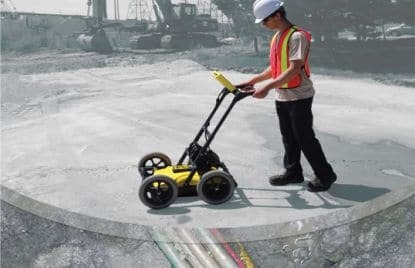 Ground penetrating radar (GPR) uses reflected radio signals transmitted into the ground to determine position and size of objects hidden below the surface. With applications in leak detection, archaeology, forensics, and engineering we have the equipment to handle all these application. The LMX200, the premier utility tool in the market today. The new and breakthrough Dynamic target enhancement technology, DynaT, acts like 3 GPR’s in one. DynaT optimizes views of small, medium and large targets. 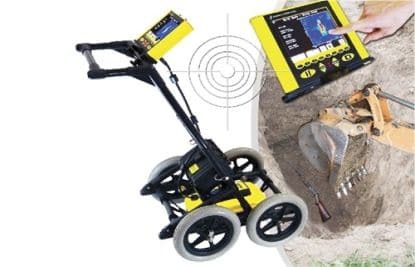 One of the most affordable GPR utility locating tools, the LMX100 offers a more complete picture of the underground infrastructure. 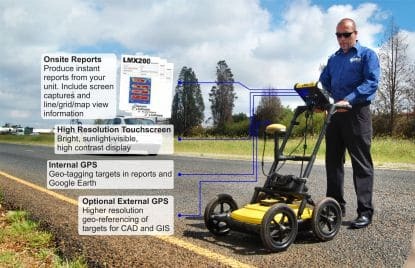 The Noggin is a complete Ground Penetrating Radar (GPR) systems crafted into a single package providing high performance and ease-of-use. The Noggin can be used in locate and mark mode or in survey and map mode. The survey and map mode allows an area to be surveyed in a grid pattern and displayed on a PC in 3D or in depth slices. System can also be integrated with GPS systems. 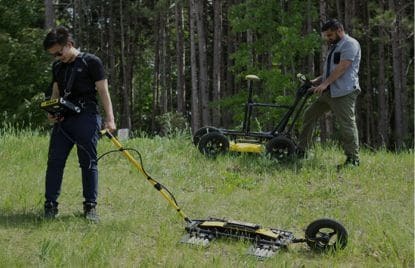 FINDAR enables law enforcement to quickly and effectively search for evidence buried under the ground. 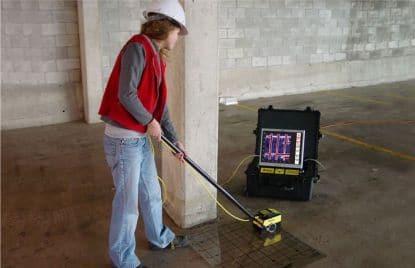 GPR is now widely used for assessing the interior of concrete structures. When cutting and coring for renovation and repair, avoiding reinforcing, post-tension cables and embedded conduits is a priority. 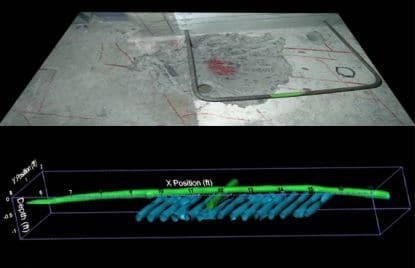 GPR can sense both metallic and non-metallic features making it a versatile imaging tool. EKKO_Project is the flagship solution for users requiring full GPR project data management. EKKO_Project provides a family of processing and analysis modules software in an integrated user environment. In addition, a range of application-specific software like ConquestView and IcePicker support individual user needs.